Beetles of the family Coccinellidae called Lady Beetles, or Lady Bugs in most of North America, are important insects worldwide. Lady beetles are a favorite insect in cultures on every continent. These beetles have often appeared in old stories, poems and children’s literature possessing virtues associated with good nature and luck. For gardeners they provide effective pest-control of aphids and other harmful insects. 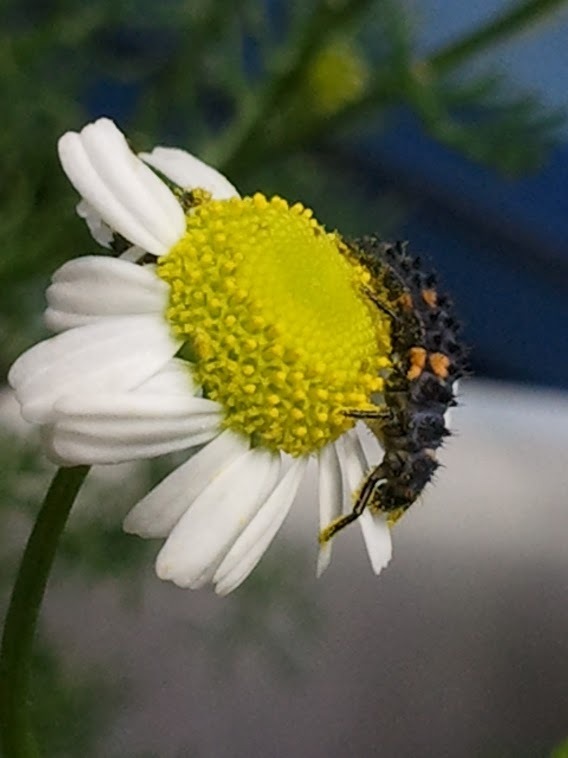 Lady beetles and their larvae prey on aphids and scales. Some species even prey on caterpillars or spider mites. The lady beetle lays eggs near their prey that hatch in 5 - 7 days. The larvae emerge with six prominent legs on the upper torso and a distinct lady-beetle head and mouthparts. 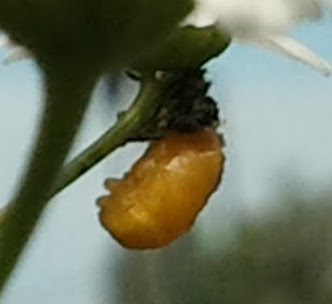 The larval period lasts around 2 weeks then larvae find a spot to fix themselves for pupation and begin the transformation to an adult lady beetle. The pupation stage lasts 5 to 8 days before the beetle emerges with a soft and less-colorful exoskeleton that will become more colorful as it hardens. 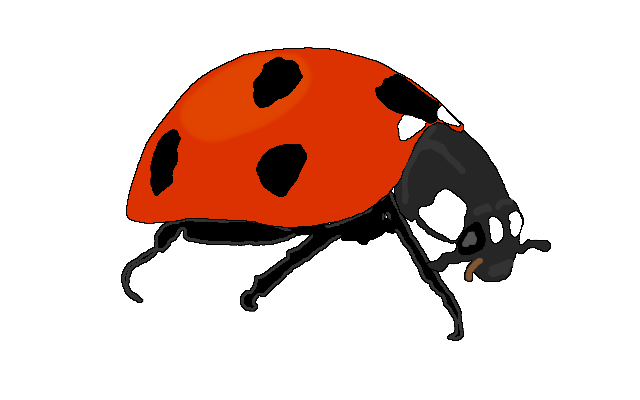 An adult lady beetle will live 1 to 2 years. Within a year they can have as many as three generations of offspring. They find a warm and protected place to enter dormancy during the winter. This is the reason lady beetles begin to invade homes in the late autumn. Most lady beetles for-purchase from a garden supply store, nursery or online are collected from one species that aggregate for winter in higher-elevation areas of California. Lady beetles produce an alkaloid toxin giving them an acrid taste to predators. Their flashy red coloring serves as a reminder to predators not to eat them. Lady beetles may also “reflex bleed” when physically disturbed and force the toxin out from their joints as an appetite-deterrent. The term “ladybird taint” refers to the flavor of wine when ladybird beetles have found their way into the process. The harlequin lady beetle from Asia was established in the United States in 1988 for aphid control, and has since spread to most of the United States and Western Europe. This species has displaced many native populations of lady beetles, but is uniquely effective against soybean aphids, another invasive species from Asia. Lady beetles may occasionally bite people. Although the bite is described as only mildly irritating, it can cause some people to have an allergic reaction. Introducing lady beetles into your garden will more than likely benefit your neighbors. Lady beetles tend to disperse when released. They are not likely to reproduce for weeks while they feed and recover from the stress of relocation. Keeping one plant with aphids in a location away from the garden may improve the likelihood of keeping lady beetles in the area. Lady beetles are compatible with many natural pest-deterrents like soaps, neem and herbal oils. Original photos by Nate Porter.